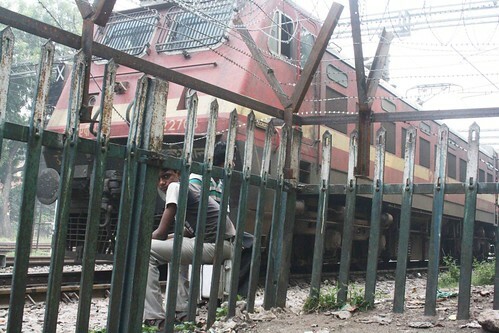 The railway landmark’s emotional pull. We don’t expect aesthetics out of a railway underbridge. 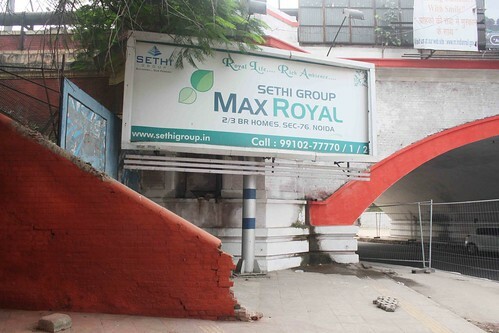 Minto Bridge, that connects Connaught Place (CP) to the New Delhi railway station (Ajmeri Gate side), is an ambivalent celebration of decay. The opulent rotting city of the 2010 Commonwealth Games is a spectacle here. The bridge, circa 1933, documents urban crudeness, and is a comment on old-time glitter. Named after a British viceroy, the brick masonry structure is a homage to this dream-nightmare metropolis. 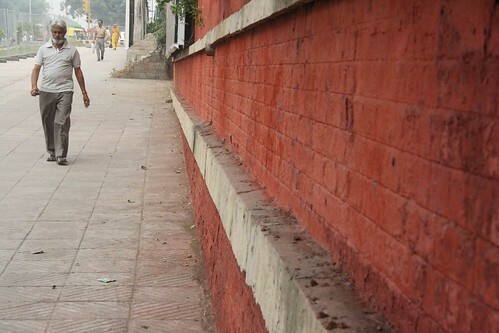 Walking from the New Delhi railway station, you will be unable to see its familiar red. 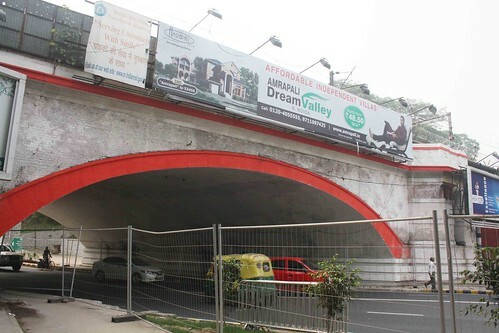 Billboards have overtaken the large segmental arch that spans the width of the road. In fact, the red colour is gone. 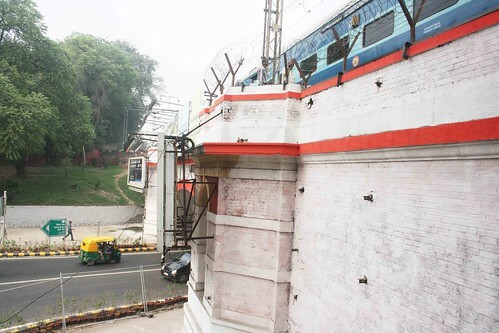 While beautifying the city in the run-up to the Games, the bridge was whitewashed by Municipal Council of Delhi (MCD). Moss has surfaced on the damp parts. The roadside was laid with grass, which has started drying up. 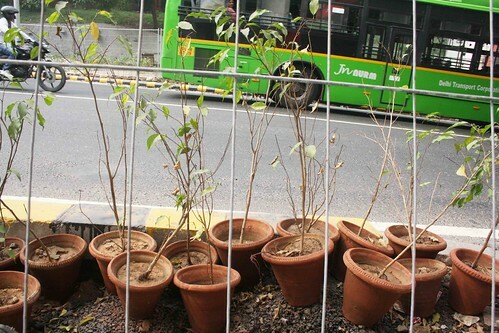 Saplings were planted. Flowerpots were arranged. 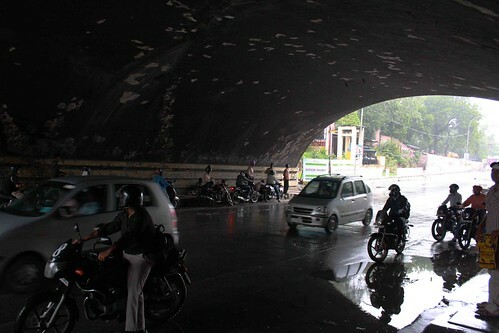 The tunnel of the underbridge, too, had a makeover – its side drains were covered with cement slabs. 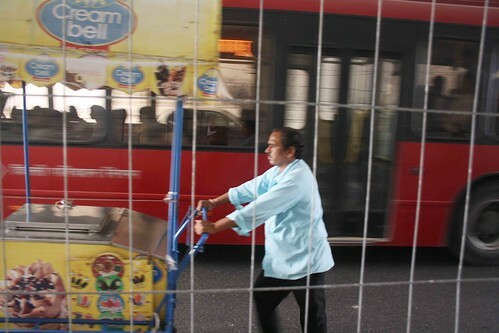 It was cleaned of low life: beggars and addicts. 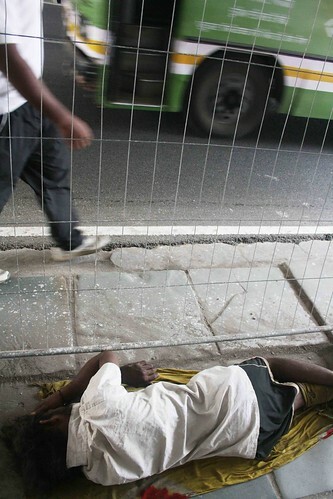 The Delhi Walla saw just one homeless man sleeping inside. 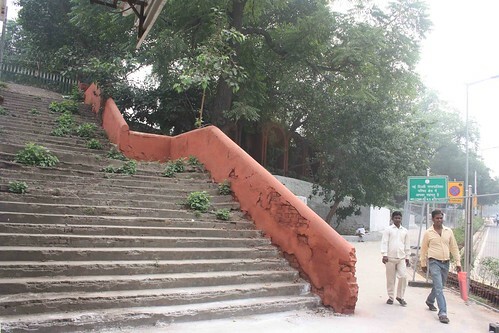 Before entering the tunnel, on the left, you will see a flight of stairs leading to a one-time landmark: Splash Bar & Restaurant. 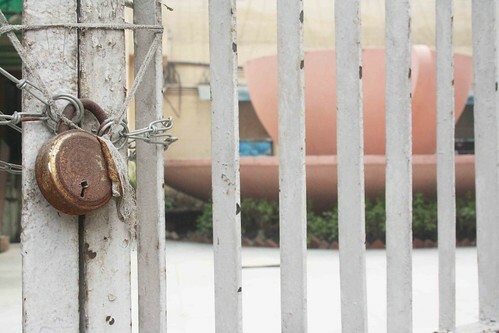 Its gate is closed, the lock is rusty and the yard within is forlorn. A giant concrete teacup and saucer installed at the entrance is spooky. A guard at the gate said that the place shut down early in 2010. 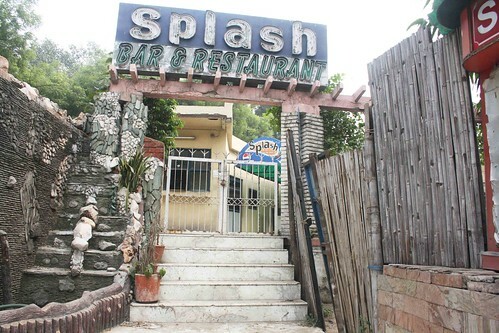 Popular among tourists, Splash was a watering hole to guzzle down beer with buttery naans. People say Minto Bridge had a nightclub known for striptease acts. That mythical place, too, is lost with time. 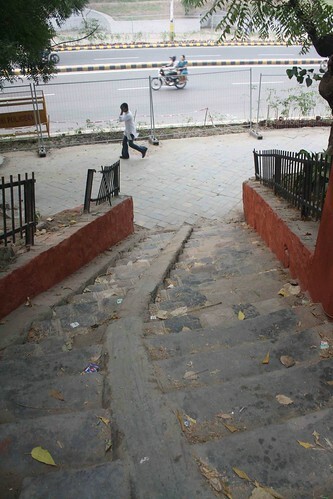 As you emerge from the underbridge and walk towards CP, you’ll see stairs leading to the railway tracks. 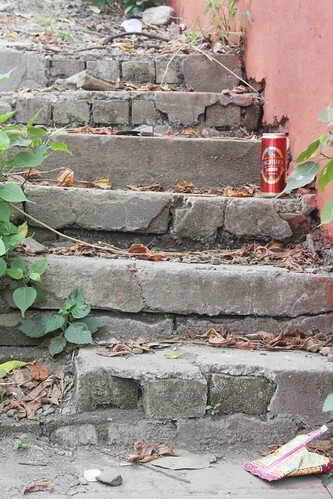 The stairs are chipped, the railing head is broken and the tracks are fenced off. 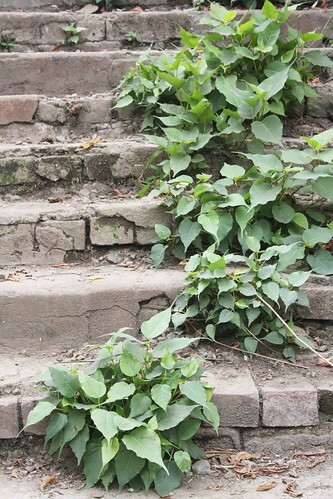 Despite the renovation, nature has won over – peepal and tulsi plants grow out of cracks on the concrete. Trains pass by after every few minutes; the engines roar and then fade away. 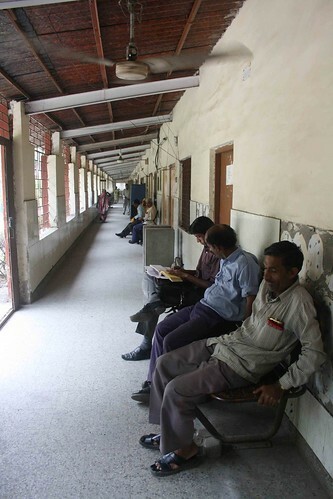 Down the road is another stairway that leads to a listless railway office; its long corridor has old ceiling fans. A little ahead, there is a row of redbrick arches. The point of their existence is unclear. 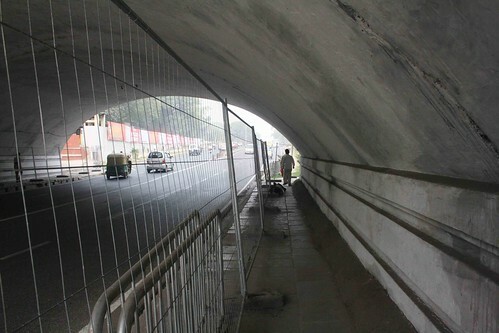 Before entering CP, most likely, you will rush back to the bridge tunnel to feel its emotional quietness again. This quiet is made of dissimilar sound of trains, buses, autos and bikes that collapse together, then rises up in an echo. It then culminates into an overwhelming turbulence of your inner thoughts. Who knows, you may finally find yourself here. 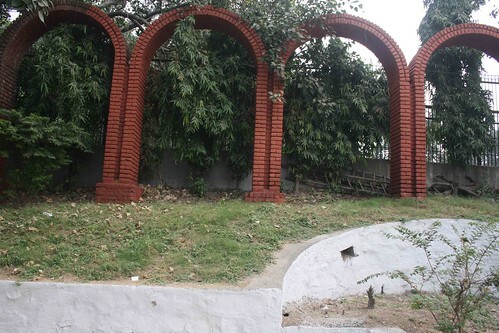 The red brick arches are perhaps a “folly?” I admire your photographs, Mayank, for they evoke a real “sense” of the place. Does this not tire you at times? The consistent city-ness? The tiredness from the loss I mean. So many things seem lost, sometimes when I think of them, it feels disorienting. You got back some nice and sweet memories through the pics! 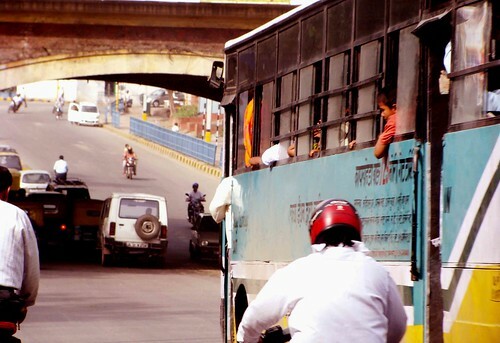 Yeah, like Sudeep above this bridge is an announcement for me also that I am in the city. Also, when I see this bridge from the train out of Delhi, there is always a sense of pain about leaving Delhi.